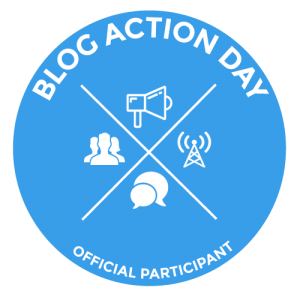 Blog Action Day is a free annual event for bloggers, that has run since 2007. Its aim is to foster conversations between bloggers from around the world, by asking them to focus on one theme, for one day and be part of a positive global discussion. You are probably aware of how independent voices especially bloggers who have spoken out against oppressive regimes or fundamentalist groups, have been silenced in recent times. It is to honour these brave voices that Blog Action Day’s theme for 2015 is #RaiseYourVoice. In India too, we’ve seen trolls threatening those of who dare to speak out on issues of injustice, corruption and violence. It’s time for us as bloggers to raise our voices against any sort of censorship. Today, I’m requesting you to register for Blog Action Day 2015. Join thousands of bloggers around the world on October 16 and #RaiseYourVoice through your blog post and social media shares. On October 16, we will have an open linky at Write Tribe for you to add your Blog Action Day posts. Let’s blog to make a difference. Today’s linky can be found here below and my co-host is the gentle poet, Payal Agarwal, who crafts her magic at Kaleidoscope. Am just wondering what I would write about!!! I had never heard of this movement before. I will probably join, although I don’t write about that kind of stuff, it could be a good change. Thanks for the information. Will give it some thought. Happy to co-host with you, Corinne. Shall try to participate in this initiative. Thanks for the heads up. I have joined. This looks like a worthwhile initiative. I’ll look into it. Thanks for the info. I’ve done this before a couple of times, Debbie and it is.